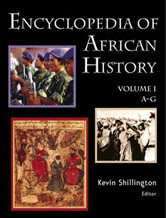 Covering the entire continent from Morocco, Libya, and Egypt in the north to the Cape of Good Hope in the south, and the surrounding islands from Cape Verde in the west to Madagascar, Mauritius, and Seychelles in the east, the Encyclopedia is an A-Z reference resource on the history of the entire African continent. This useful companion to classical history reveals the ancient world - from Scotland to India and from Spain to the Black Sea - through the numerous sites of its history and legends. The first kingdom for which there is documentary evidence is that of Aksum (Axum), a kingdom which probably emerged in the 2d cent. A.D., thus making Ethiopia the oldest independent country in Africa and one of the most ancient in the world. It was not until c.3000 B.C. that the Sahara transformed into its present arid state. The camel was introduced probably in the 1st cent. A.D. and facilitated occupation by nomads. Ancient state of NE Africa. At the height of its political power Nubia extended, from north to south, from the First Cataract of the Nile (near Aswan, Egypt) to Khartoum, in Sudan. Considering the great importance of the Nile to Egypt, it is not surprising that in ancient times it was deified, and it has always been regarded with the utmost reverence. Each year the Nile floods its banks and the height of the flood has been recorded annually since at least 3600 BC. A city on the Nile in Upper Egypt, four hundred and forty-six miles south of Cairo. The capital of the Pharaonic empire in the second millennium BC—replacing Memphis—Thebes was later praised for its wealth in Homer's Iliad. Eighteenth Dynasty king of Egypt who came to the throne aged nine and reigned from 1334 bc to 1325 bc. The outstandingly preserved treasures of his tomb were discovered in 1922. King of the Eighteenth Egyptian Dynasty, Akhenaten reigned from approximately 1360 to 1343bce. Akhenaten is notable for having briefly replaced the entire Egyptian pantheon with a single deity, the Aten, the physical manifestation of the sun. Probably born in Mitanni, an empire based in what is now northern Iraq, Nefertiti became the chief wife of the intellectual Egyptian ruler Amenhotep IV (reigned about 1379–1362 BC). Ramses II, also known as “Ramses the Great,” was one of the most famous pharaohs of the nineteenth dynasty of Egypt (1570–1070 bce). He established numerous building projects, conducted aggressive war campaigns, and created international ties that are still discussed today.). D. 229 or 228 B.C., Carthaginian general. Father of Hannibal. Queen of Egypt, one of the great romantic heroines of all time. Carthaginian general in the second of the Punic Wars, son of Hamilcar Barca. One of the greatest generals of ancient times, in 218 BC he invaded N Italy after crossing the Alps with 40,000 troops and a force of elephants. 185?–254?, Christian philosopher and scholar. (Claudius Ptolemaeus), fl. 2d cent. A.D., celebrated Greco-Egyptian mathematician, astronomer, and geographer. The greatest of the Latin Fathers of the Church, born in Tagaste, Numidia (modern Algeria). Ancient civilization, based around the River Nile in Egypt, which emerged 5,000 years ago and reached its peak in the 16th century B.C. Predynastic Period; Early Dynastic Period; Old Kingdom; First Intermediate Period; Middle Kingdom; Second Intermediate Period; New Kingdom; Third Intermediate Period; Late Period. Ancient Phoenician port in North Africa founded by colonists from Tyre in the late 9th century BC. A leading trading centre, it was in conflict with Greece from the 6th century BC, and then with Rome, and was destroyed by Roman forces in 146 BC at the end of the Punic Wars. Roman rule in North Africa was based on a system of land appropriation. The cycle centred on nine gods, the Ennead: Ra the Sun (in his manifestation as Atum the creator) and four pairs of his descendants: Shu and Tefnut; Geb and Nut; Aset (Isis) and Osiris; Set and Nebthet. Ancient Egyptian god, the embodiment of goodness, who ruled the underworld after being killed by Set. The pharaohs were believed to be his incarnation. Mythological creature, depicted in Egyptian, Assyrian, and Greek art as a lion with a human head. One of the oldest monuments is the Great Sphinx at El Gîza, Egypt, which was probably built about 2900-2750 BC. Dead human or animal body preserved by embalming or by unusual natural conditions. Refers primarily to the burials found in Egypt, where the practice of mummification was perfected over the centuries to an extreme of elaboration. Extinct language of ancient Egypt. Developed during four periods: (1) Old Egyptian (3d millennium B.C. ); (2) Middle Egyptian (2134 - 1354 B.C.) (3) Late Egyptian (to 12th cent. B.C. ); and (4) demotic (8th cent. B.C. - 5th cent. A.D.). Egyptian hieroglyphics appear in several stages: the first dynasty (3110–2884 B.C. ), when they were already perfected; the Old Kingdom; the Middle Kingdom, when they were beginning to go out of use; the New Empire, when they were no longer well understood by the scribes; and the late hieroglyphics (from 500 B.C. ), when the use of them was a tour de force. A stone found in 1799 by a French officer of engineers named Bouchard or Boussard in an excavation made near Rosetta (Rashid), in the Nile delta northeast of Alexandria. Extinct language of Ethiopia belonging to the North Ethiopic group of the South Semitic (or Ethiopic) languages, which, in turn, belong to the Semitic subfamily of the Afroasiatic family of languages.